Dia Mirza looking at students’ special photo exhibition organised to mark ‘World Tiger Day’ in Hyderabad. Elizabeth Gillies arrives at the LA premiere of "Vacation" held at the Regency Village Theatre. Elsa Pataky, left, and Chris Hemsworth arrive at the Los Angeles premiere of "Vacation" at the Regency Village Theatre. 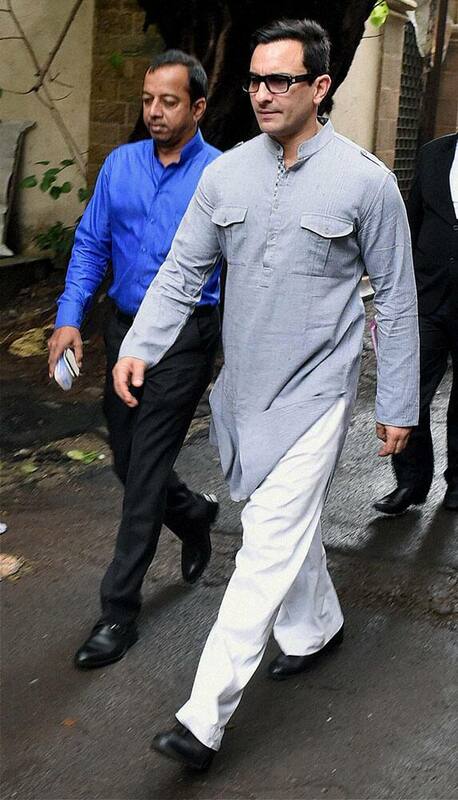 Bollywood actor Saif Ali Khan leaves the Esplanade court after a hearing in a 2012 assault case, in Mumbai. Actress Aishwarya Rai Bachchan with daughter Aaradhya at Sanganer airport in Jaipur. Ireland Baldwin, left, and Hailey Baldwin kiss as they attend the premiere of "Mission: Impossible - Rogue Nation" in Times Square in New York.